What is DeKalb County's Transit Master Plan? 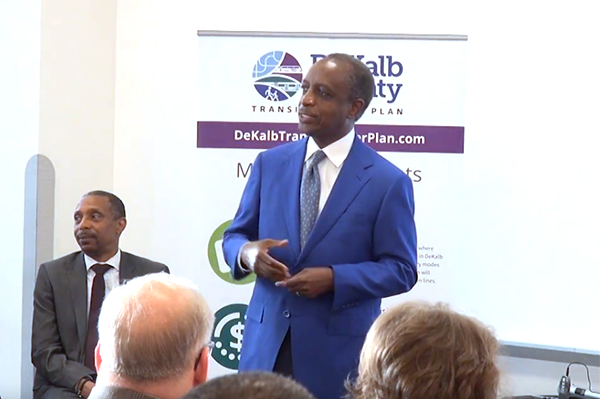 The Transit Master Plan will address DeKalb County's mobility challenges, help to enhance future development opportunities, and improve the quality of life within each of DeKalb's cities and unincorporated communities, both north and south. 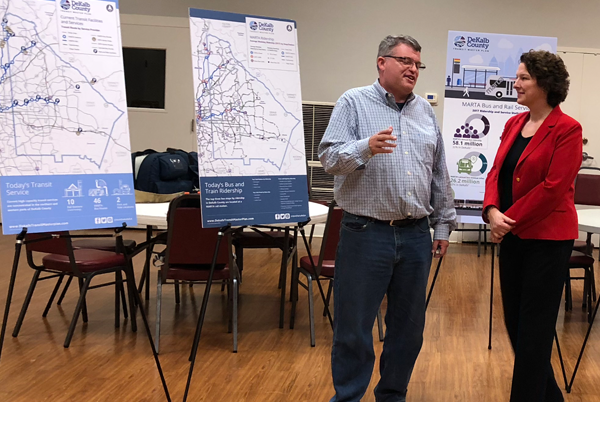 The plan will identify transit service enhancements for today and expansion opportunities for tomorrow to create a 30-year cost-feasible vision for transit investments in DeKalb County. 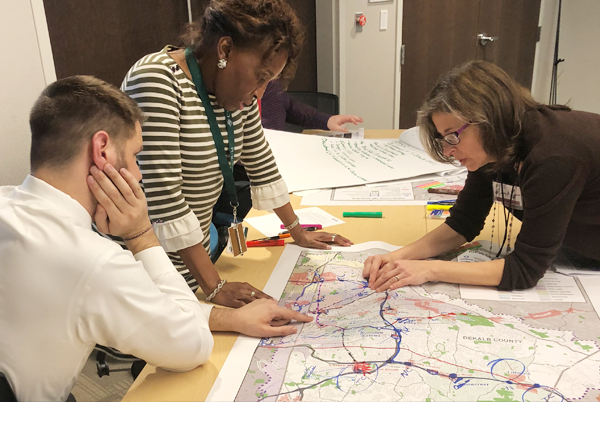 Why is DeKalb County's Transit Master Plan Important? The Master Plan will focus on creating an environment where transit is a seamless part of living, working and playing in DeKalb County. By creating a robust network of complementary modes that include different types of transit solutions, the plan will improve residents’ quality of life and businesses’ bottom lines. Create an environment to listen, educate, and collaborate with residents, local businesses, cities, and DeKalb County, together we can develop a prioritized list of well-defined, realistic, and feasible transit improvements to guide us for the next few years and beyond. By defining fiscally sensible solutions, the Master Plan will bolster economic development activities in currently prosperous areas and encourage investment in those areas identified for future growth so that all areas of the County will benefit from future transit improvements. Provide mobility options for all DeKalb County residents. The recommendations will balance the needs of discretionary riders who could choose to commute via private automobile instead of transit with the needs of more transit-dependent riders such as seniors, individuals with low incomes, underserved residents, persons with disabilities, and youth. Did you miss our last open house? We're currently working to schedule the next round of public open houses. Please check back for more information on your third round of open houses scheduled for April or May 2019. If you would like to receive an email notice about the meetings, please fill out our contact form. See what was presented during our first round of public meetings in October 2018. 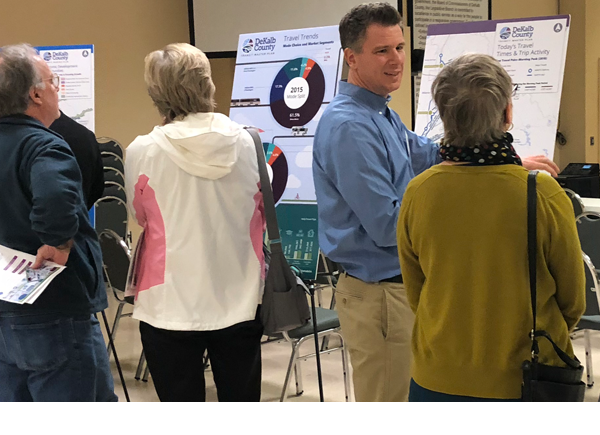 See what was presented during our second round of public meetings in February 2019. 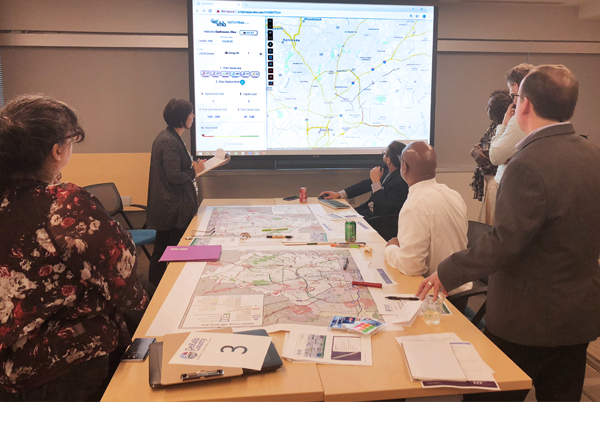 On September 6, DeKalb County CEO Michael Thurmond and MARTA General Manager/CEO Jeffrey Parker addressed a group of DeKalb County stakeholders about the Transit Master Plan.